Fox Searchlight Pictures is a leading distributor of independent films including Absolutely Fabulous and The Birth of a Nation, not to mention such classics as One Hour Photo, The Good Girl, The Ice Storm, and Boys Don’t Cry. 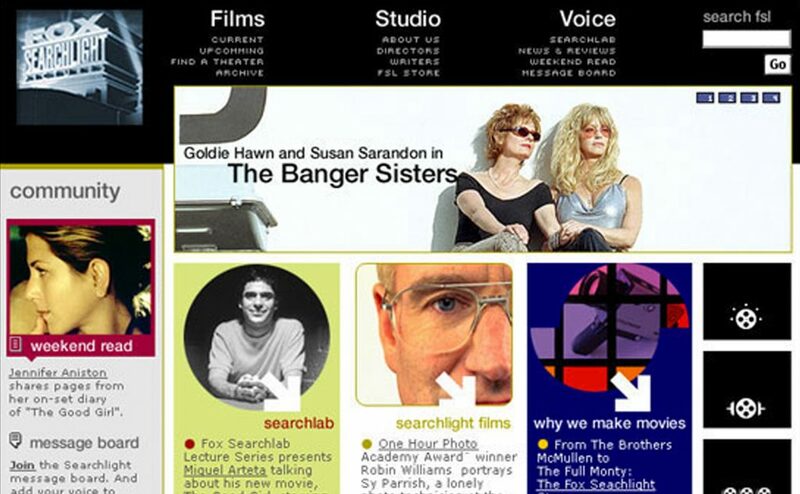 Co-created with Hillman Curtis Inc., the film company’s 2002 site redesign provided cinephiles with extensive, insightful content by people who make and love movies. 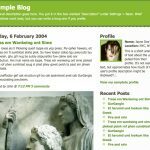 Designed for ease of use, ease of reading, and easy client updating and maintenance, the site loaded quickly—even over dialup (! )—thanks to streamlined markup and smart use of style sheets. Front-end development and design. 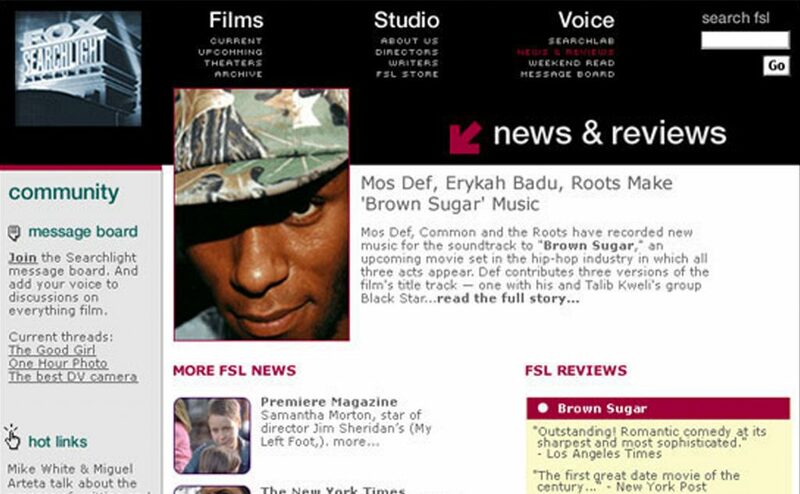 Visit the archived site ℅ The Wayback Machine.